Bixyl Shuftan and I met at the SL Newser building. He told me he first got started as a virtual journalist when he was coming onto Second Life on a regular basis, instead of just sporadically, in summer 2007. "That's how I found out about the Second Life Newspaper, owned by JamesT Juno and run by Dana Vanmoer," he described, "They asked for reader submissions, so I sent them pictures and an article." They must have been impressed with what they saw, as they asked Bixyl Shuftan in for an interview, "After a rundown about what being a reporter for them entailed, at least an article a week, I was officially hired." And he has been writing about Second Life ever since, November 2007. For how the Second Life Newser was founded, the first part of the story is a little sad. 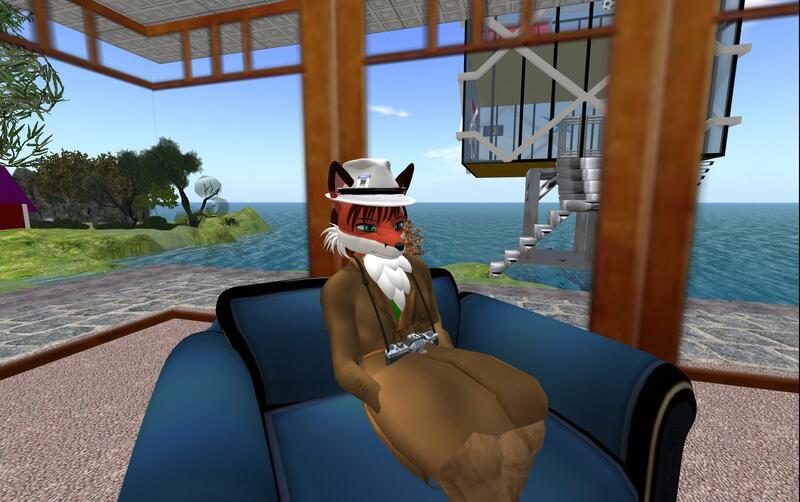 The Second Life Newspaper ran for two and half years after Bixyl Shuftan joined. However, around the time of its third anniversary, James had to leave the Second Life for personal reason. Dana kept the paper going, and even found a new sponsor after one of their longtime main business partners went bankrupt. But soon Dana had her own personal problems. In April 2010, she told the crew in a meeting that she had made the decision to close. They were shocked. Gemma was the most outspoken person, insisting that there had to be another way. But Dana told them that James had the sole rights to the name, and no transfer of the ownership could be done without his approval. They went on, continuing to write. Eventually Bixyl began talking with the others about what could be done. They eventually came up with the idea of doing a new paper. It would be four of them, Gemma Cleanslate, Shellie Sands, Grey Lupindo, and himself, Bixyl Shuftan. As he was the office manager of the old Second Life Newspaper, they agreed that he should run it. I asked Bixyl who came up with the name, "SL Newser" and he told me, "I was the one who came up with the name. I recalled a real life news site calling itself 'Newser' as part of it's name. So I went with that. It was close to the name of the old paper, and readers of Second Life News would make the connection." June 5, 2010, was the last day Second Life Newspaper would run, going out with a goodbye party and a final entry by Dana, which was later reprinted in the Newser when the old publication was taken down from the Internet a few years later. Bixyl then pointed out the Newser's first story, that of James and Dana's closing party, which appeared later that night and most readers would see the next day. Bixyl went on to say that it was a sad day for them when the old Second Life Newspapers closed. Their old bosses, whom they considered close friends, would be leaving the grid for who knows how long, and they were basically out on their own. "I felt I had some big shoes to fill, and had no idea what lay ahead. Would the readers keep following us? Could we get new sponsors? It didn't help that one secondary sponsor from the old SLN was furious at Dana for closing," said Bixyl, "But we were also getting support right away. Friends told us they were sorry about the old paper closing, and wishing us well with the new one. So we were a bit scared, but also hopeful." 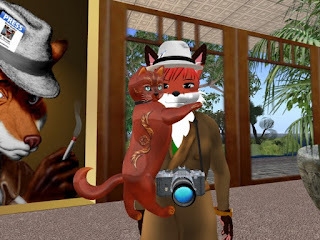 I asked Bixyl Shuftan what their greatest accomplishments was, and he said, " As for our greatest accomplishment, well, from the start, we set out to report the news, big and small, of the people, places, and events of Second Life. We've done so to the best of our abilities, with how our real lives on the other side of the computer allow. But we've also been a source of information of Second Life for people who aren't online here, or are curious about joining. And I'd like to think we've improved the reputation of Second Life journalism." The 'arch rival' of the days of the old Second Life Newspaper was "The Alphaville Herald". While they were occasionally informative, Bixyl Shuftan found them to be mainly peanut gallery material, focusing on drama and trolling, and wondered if they had given inworld journalism a bad name, "In our early days, some people were hesitant to talk with us, knowing SL Journalism only from 'Herald' articles. Others were thankful we were around, calling us a refreshing change." said Bixyl, "Having said that, the Herald did give the old paper what I felt was a more or less respectable goodbye. I guess whatever else can be spoken of them, they did respect James and Dana in the end. They themselves would update sporadically a few years later, and eventually stop publishing." Does Second Life Newser have an arch rival? Bixyl doesn't think they do. "There are other newsletters and blogs, we're just the number one of them," he told me with a smile, "We basically more or less cooperate. If we write on a subject they covered and end up using one of their articles as a source, we give credit." They do have a link exchange with the Second Life Enquirer. 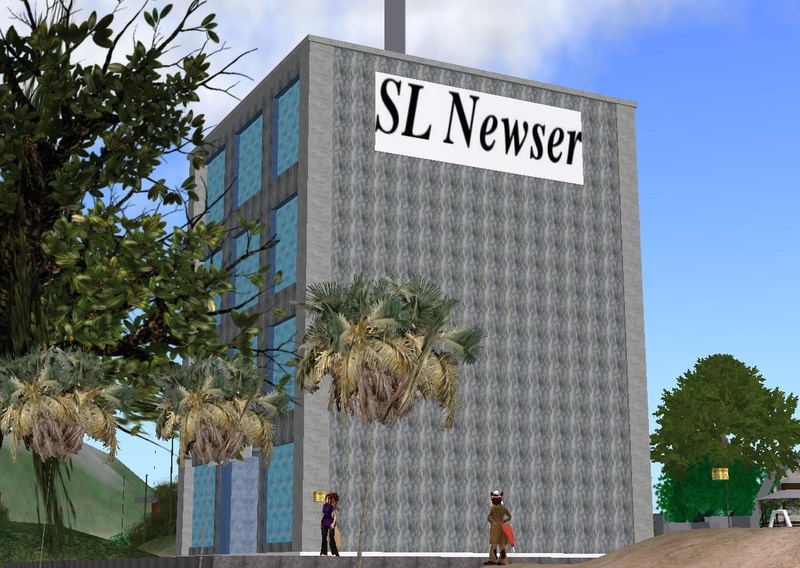 Bixyl stated, the Enquirer's editor doesn't consider SL Newser a rival as they see them as more "hard" Second Life news while they mainly cover entertainment. There are four writers on SL Newser whom are not considered on hiatus - Gemma Cleanslate, DeafLegacy, MajikVixen (BlueVioletVixen Lorefield) and Bixyl Shuftan himself. "Yes, barring some real life difficulty, financial, health, or otherwise, I plan to keep on running the Newser." said Bixyl. They have been continuing to go strong with 45,000 readers a month. SL Newser has given a physically disabled person a chance to make a name for herself as a writer (and in Bixyl Shuftan's opinion she's more than earned her place). Of the SL Newser's sponsors, the first would be Ranchan Weidman, who runs the sim of HV Community where the Newser is. Ranchan is considered to be their land sponsor., "Ranchan owns this sim, and she told me she would provide an office, and land, rent free, for us." said Bixyl, "Originally it was a grey building." The current office with much larger windows would take its place a couple years later. Bixyl Shuftan went on to say that Nydia Tungsten has also been a longtime friend and a source of support. She would also join the paper for a couple years and write some articles. Bixyl Shuftan also mentioned the Sunweaver community. The other sponsors include Farshore Radio and more recently, the Lorena Chung Estates. "Podex was a longtime, faithful, sponsor," Bixyl told me, "but they were shut down by Linden Lab due to changes in the terms of service. Steelhead was another longtime sponsor, but they had to stop when the community closed for a year. They're back, so they may sponsor us again soon. His cat, Chilly, was there. Bixyl told me he had gotten the Kittycats "firekitty" at a Firestorm Viewer team anniversary party a few years earlier. Rather then keep it in his inventory or alone in his tiny treehouse home, he lets it run loose around the office. As for Bixyl Shuftan's closing thoughts, he has this to say: "I'd say we've been doing well. We're not always perfect, but on the rare occasions we make a mistake, we own up to it and correct it. We've created a publication that has gone on for seven years with thousands of articles, cartoons, announcements, and other posts, with 45,000 readers a month. Over time, we've had many fine writers on the team. I'm sorry that many couldn't stay, but real life comes first of course. I've seen the occasional 'Second Life is DOOMED' rant. But people have been predicting it's demise for years, and we're still here. And it's safe to say it will be going on for some time, and we'll be here to cover it."